Jason Darwish is a die-hard Browns fan who has been tailgating in the Muni Lot for years. He's a part of the group called the Browns Bunch, who call themselves the "Tailgaiting Extraordinaires." "We used to be able to get in the lot and set up at our leisure. Now everybody has to wait in line until 7 a.m. and it's just a cluster of people lining up and flooding the lot as soon as it opens," Darwish said. Darwish is hoping that their fun filled tailgating ways in the Muni lot won't be sidelined by the City of Cleveland or the Cleveland Police. They just issued a friendly reminder that open containers of beer or liquor aren't allowed in the Muni Lot. 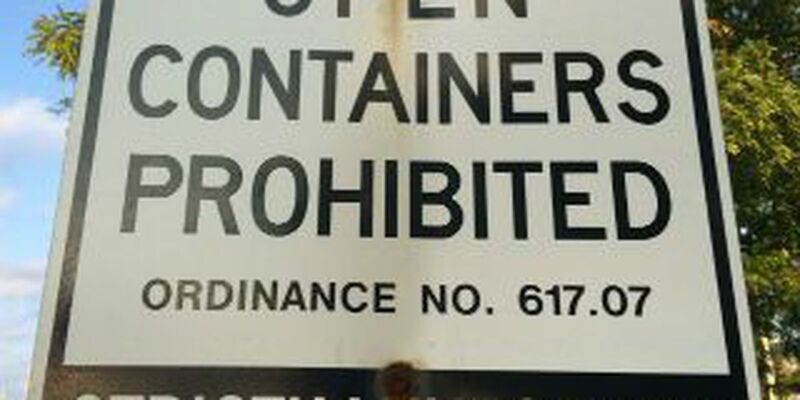 "Open containers of beer or an intoxicating liquor are prohibited in the city's municipal lot as stated in section 617.07 of the city's codified ordinances. The city of Cleveland and Division of Police regularly patrol the lot on game days in an effort to ensure compliance to the law. The city will maintain established public health and safety patrols and will continue to advise all lot visitors of rules and regulations for game day tailgating." However, enjoying adult beverages is a common part of the tailgaiting experience for many fans. "It's hard to police tens of thousands of people. I mean unless you have tens of thousands of officers. And they can't check in everybody's cup," said Darwish. A police source who declined to go on camera told us so far this year, they have made only one arrest in the Muni Lot. The source also stressed there is no hidden agenda, and the laws will be enforced as they always have.